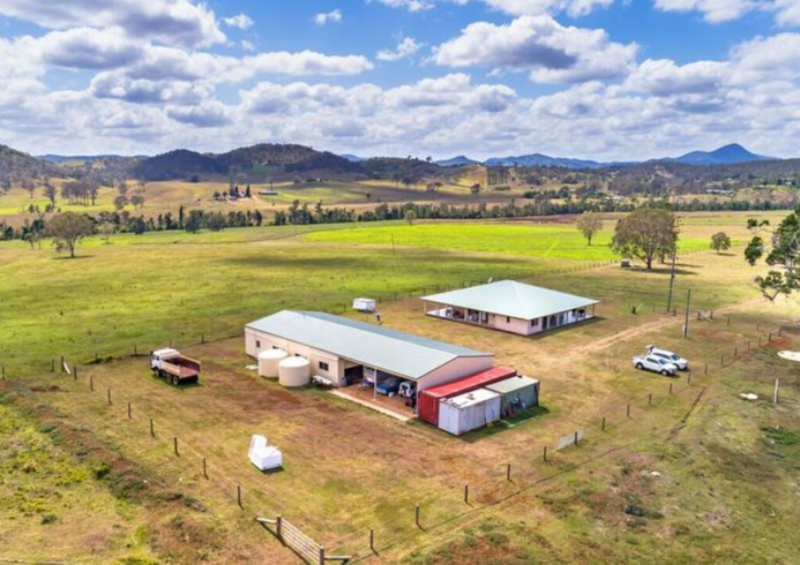 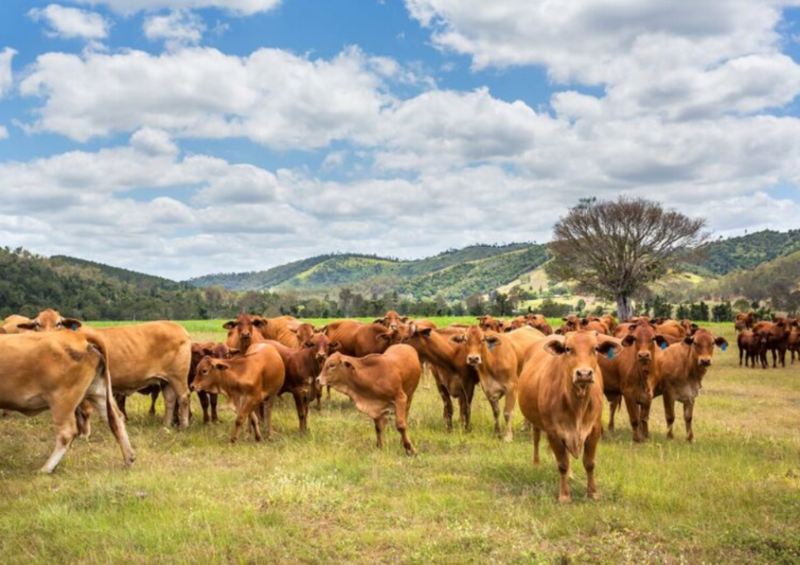 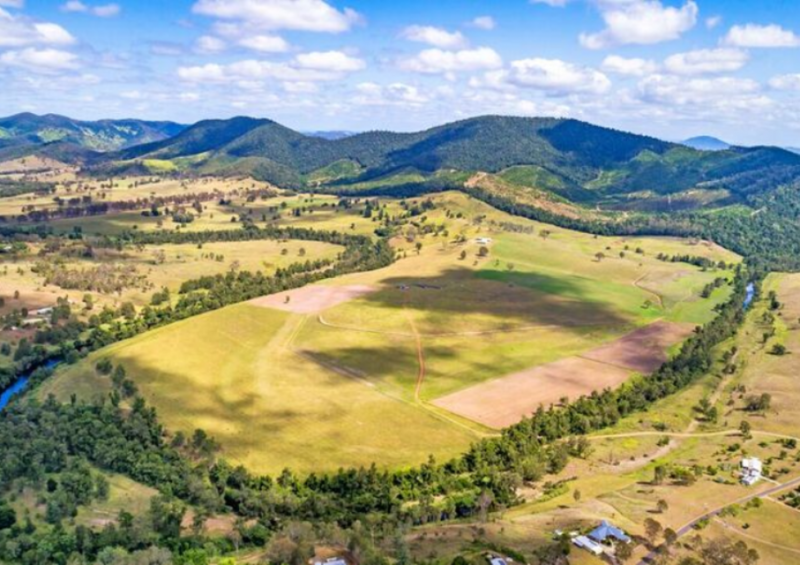 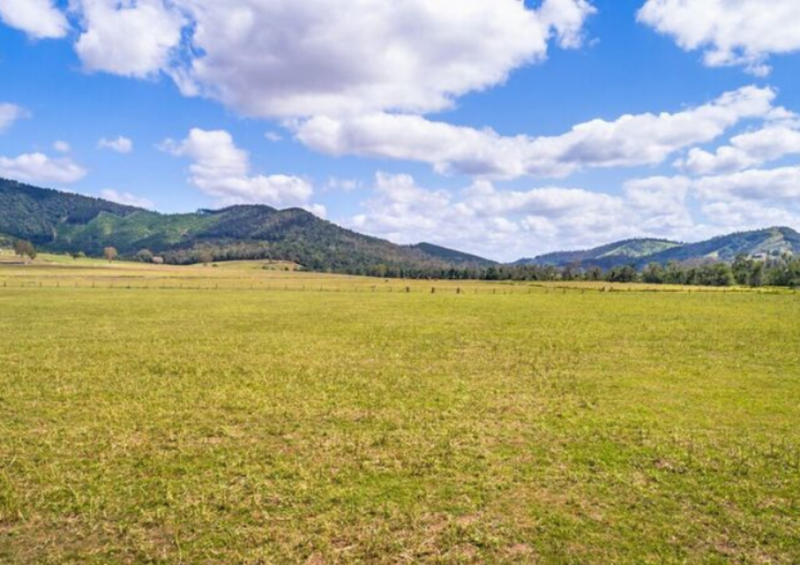 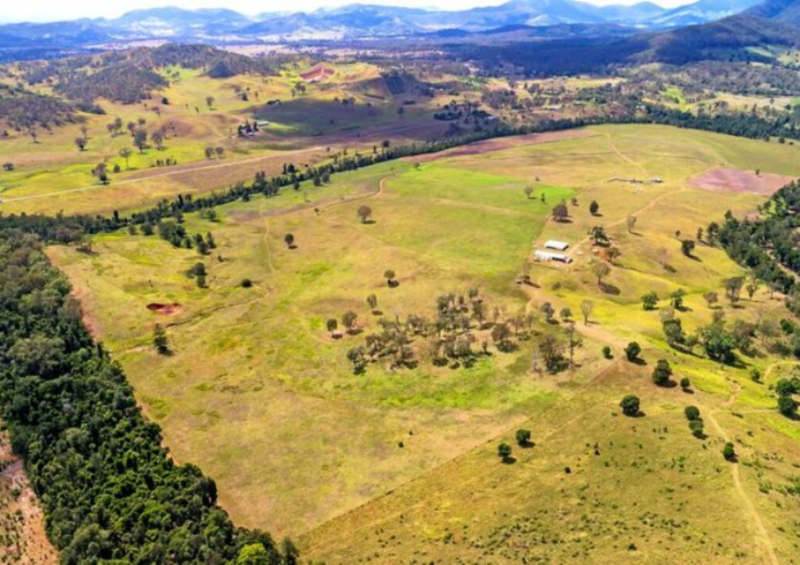 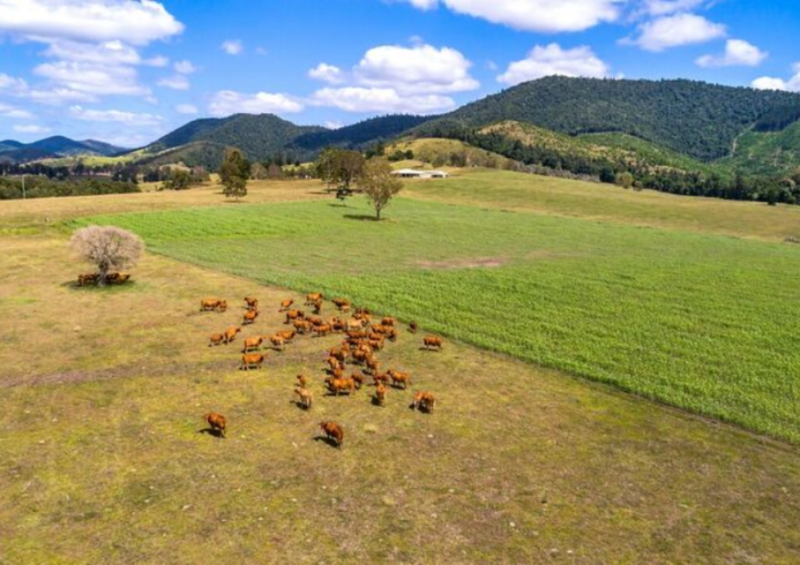 251 Acres around 15 minutes from Gympie , with an exceptional near new classy homestead plus a terrific industrial sized shed . 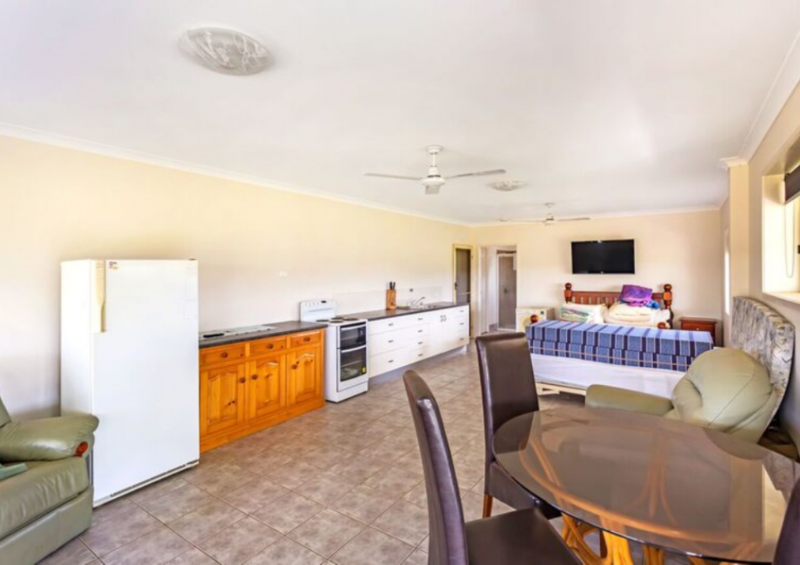 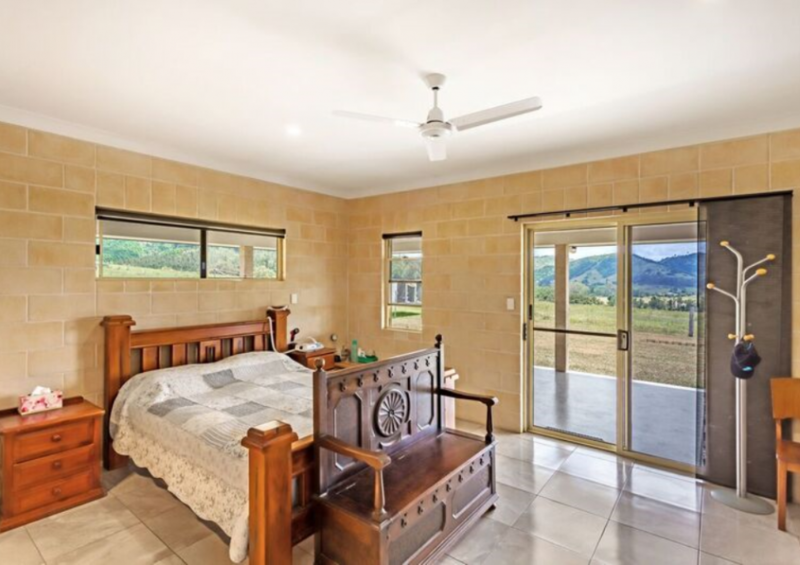 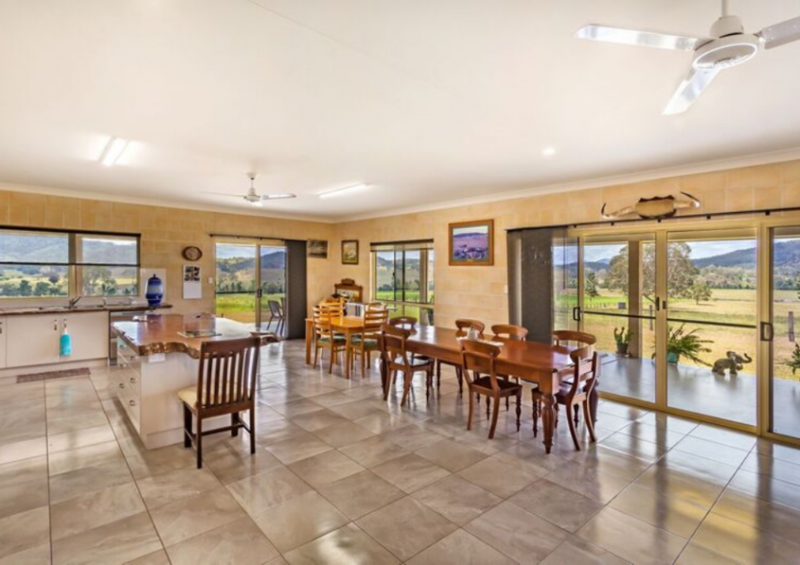 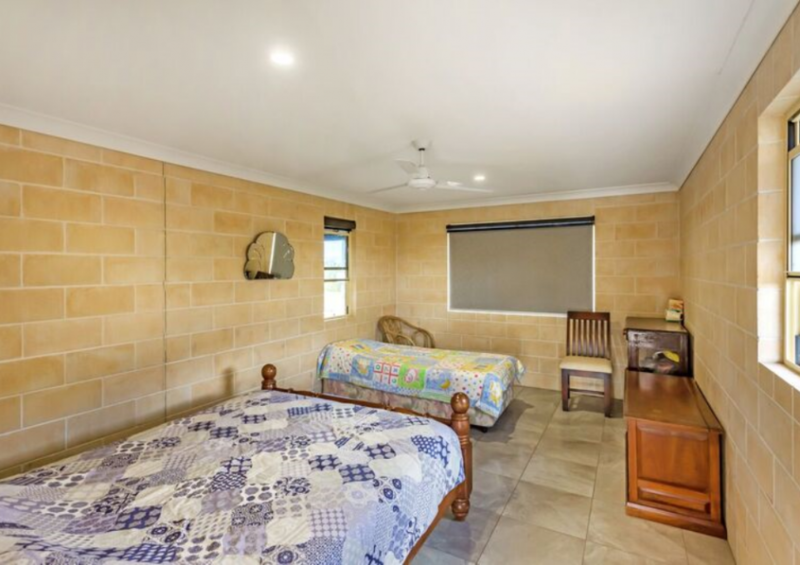 Improvements : As new very large low set ‘Peter Waldock’ built homestead with 3 large bedrooms , main with large ensuite , ultra wide patios all around with commanding views in every direction , beautifully presented with all modern apppointments that compliment the country feel . 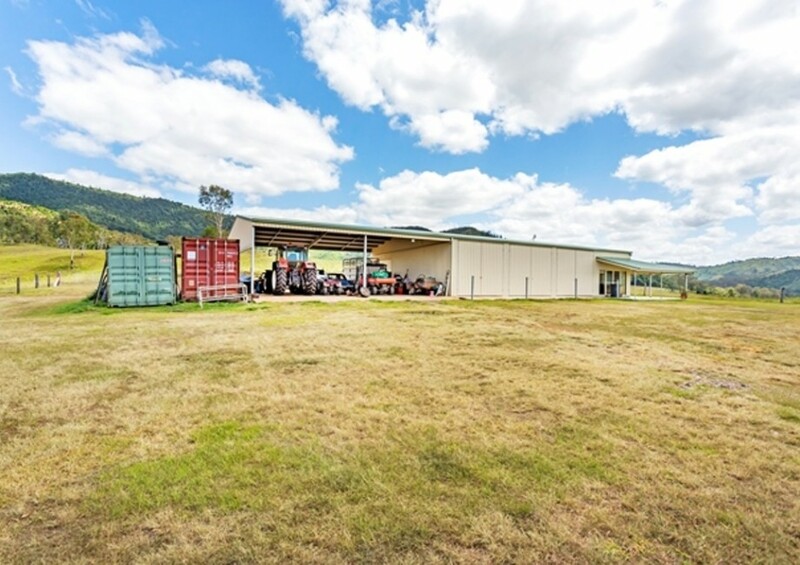 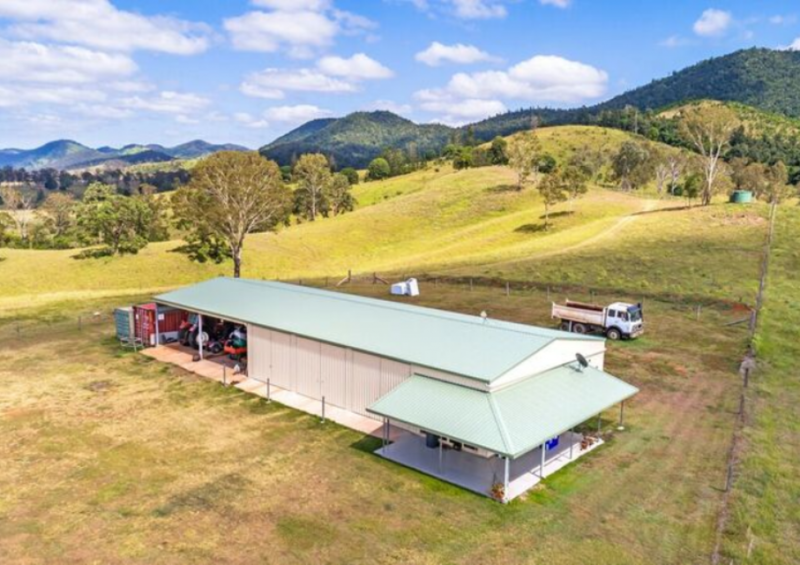 Huge industrial sized machinery/storage shed with 4 very wide bays with a fully self contained ‘granny flat’ at one end , again with exceptional views from it’s own front patio . 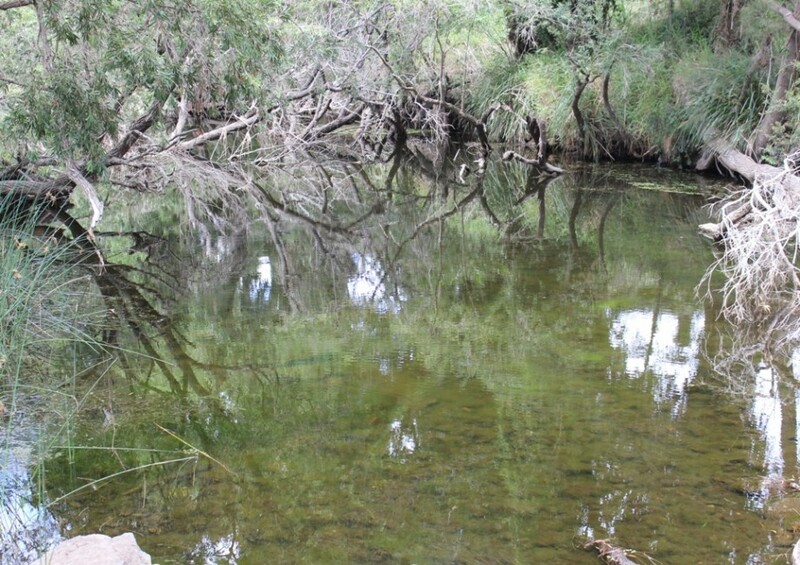 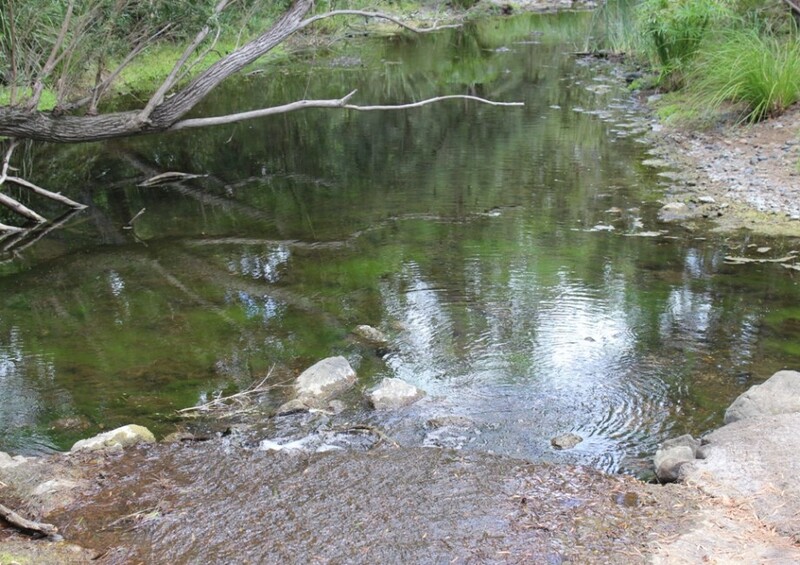 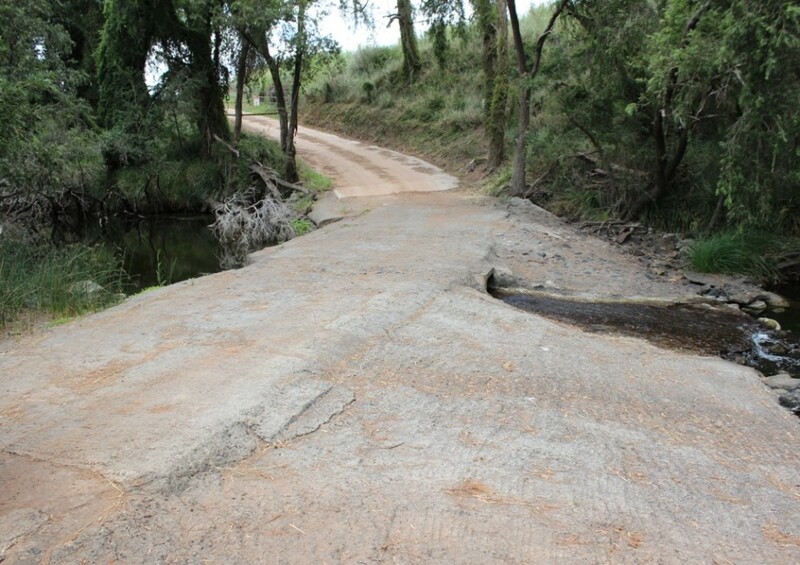 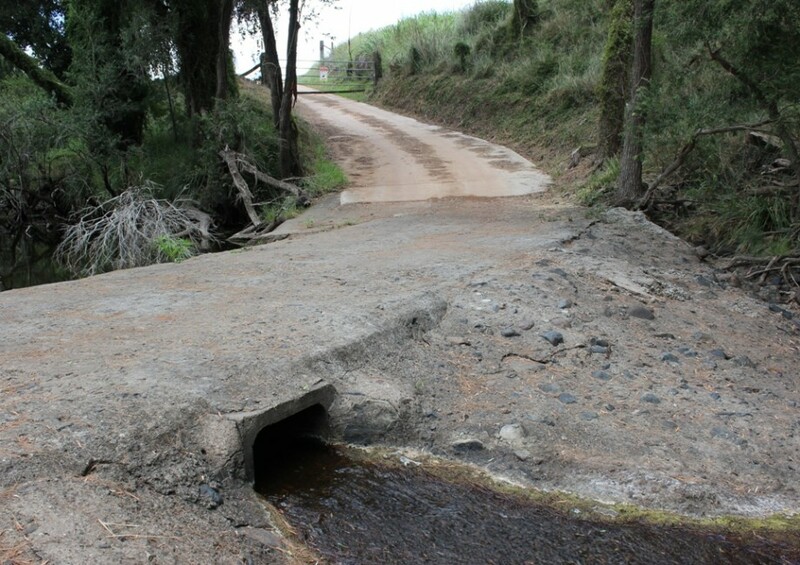 Huge frontage to one of the best creeks of the district , never been known to have stopped running on this property according to a long time local , 12.4 meg water allocation , 3 phase electric irrigation motor & pump ( not in use ) plus single phase electric motor and submersible pump . 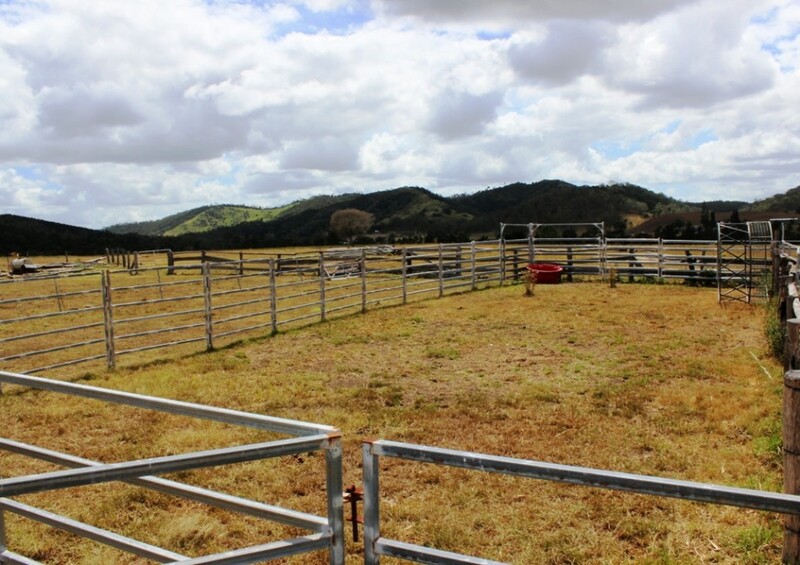 Approx 30 acres serviced by Pvc underground mainline . 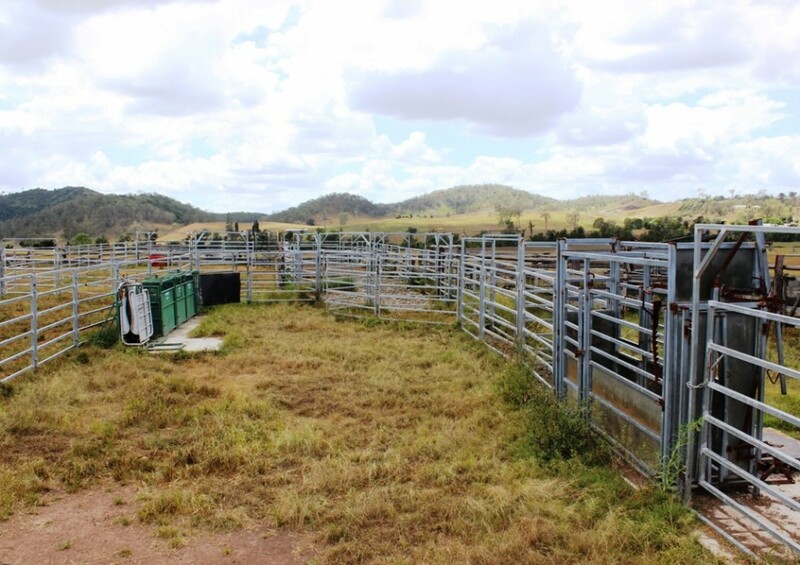 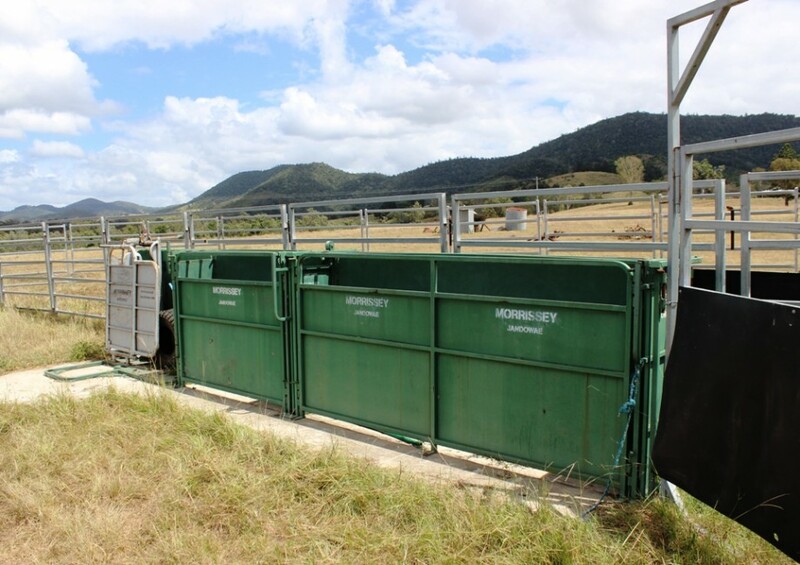 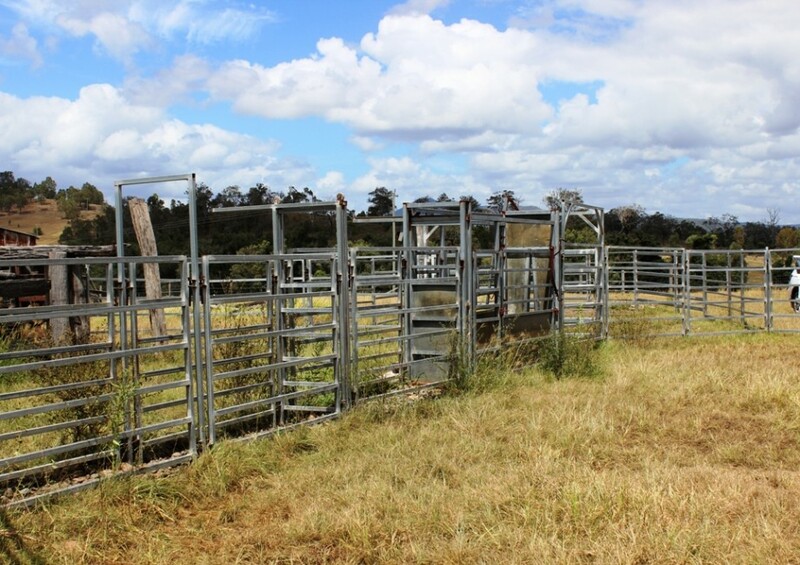 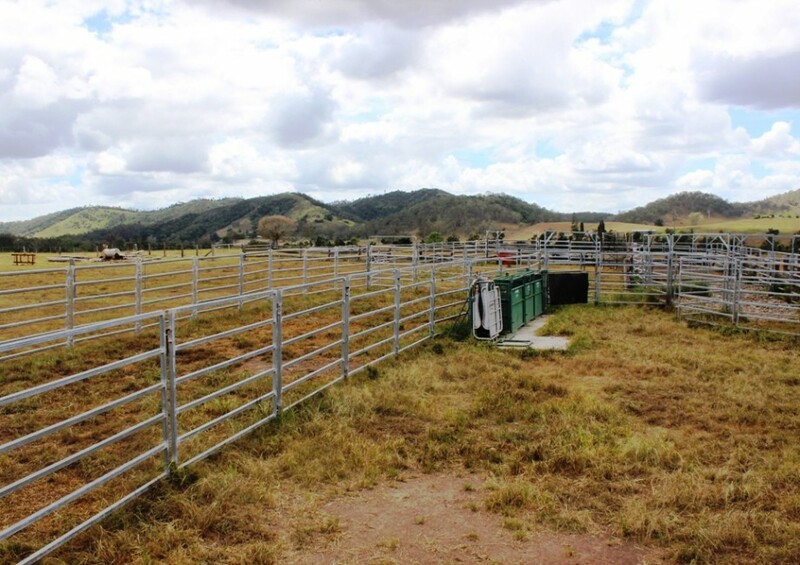 Numerous paddocks , good practical set of timber and steel stockyards with metal crush plus calf race and cradle . 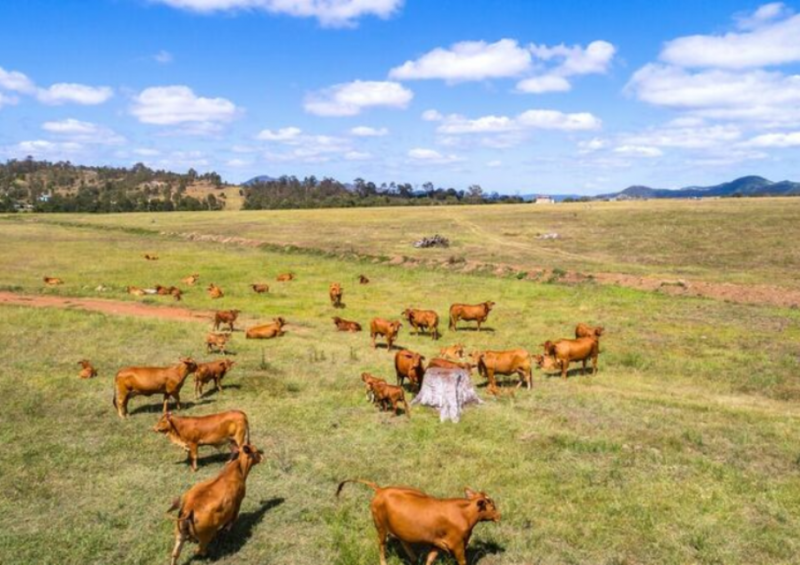 Currently running 60 cows and progeny , numbers could be increased considerably with irrigation usage , crop fattening & pasture input . 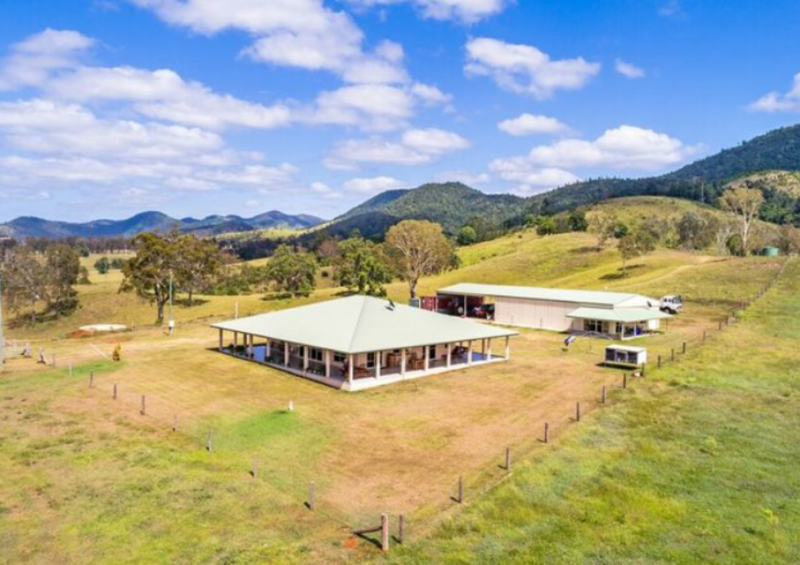 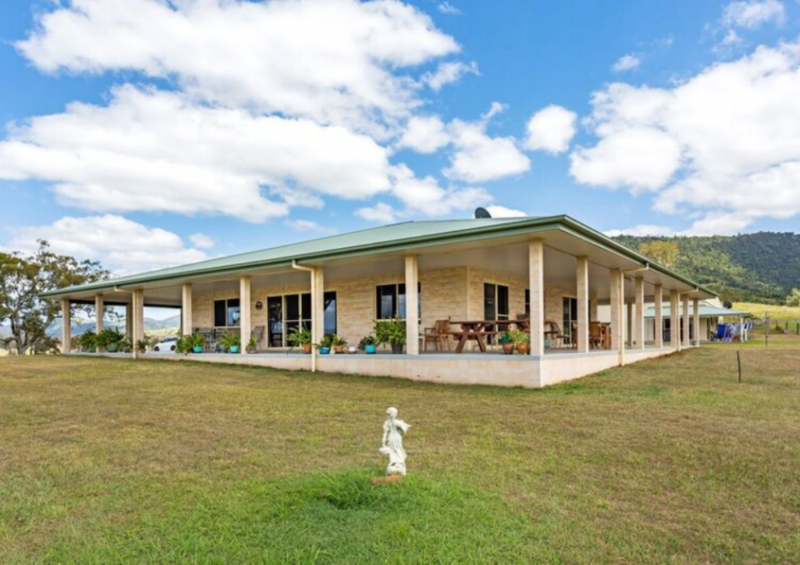 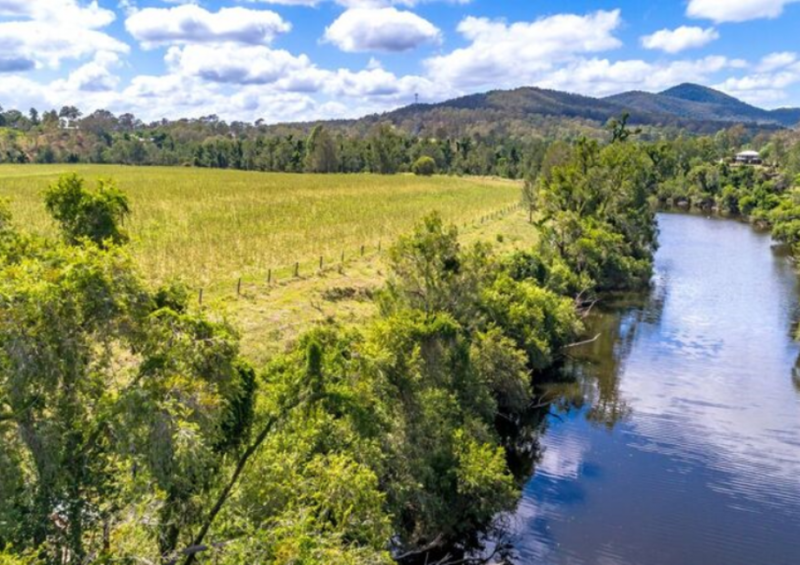 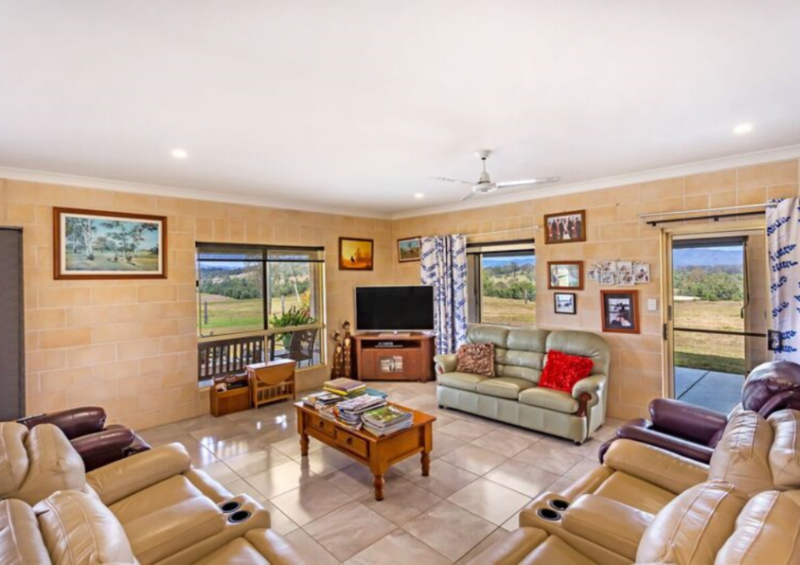 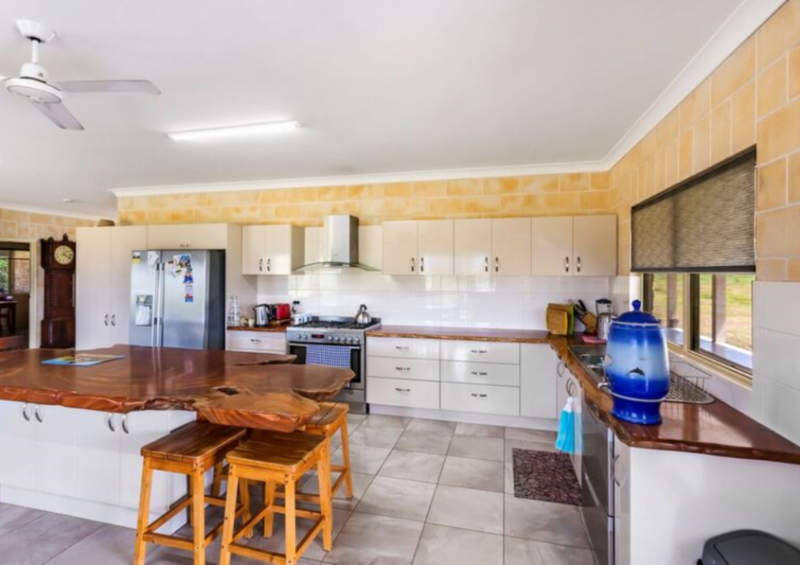 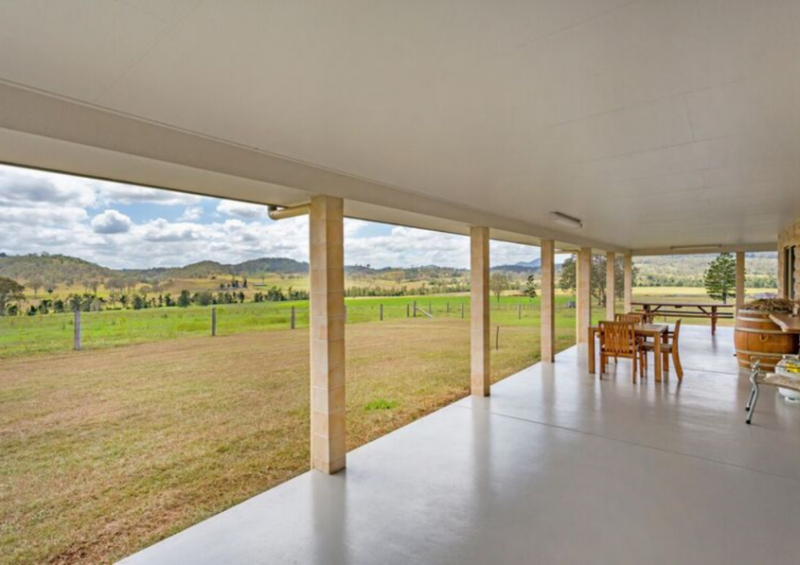 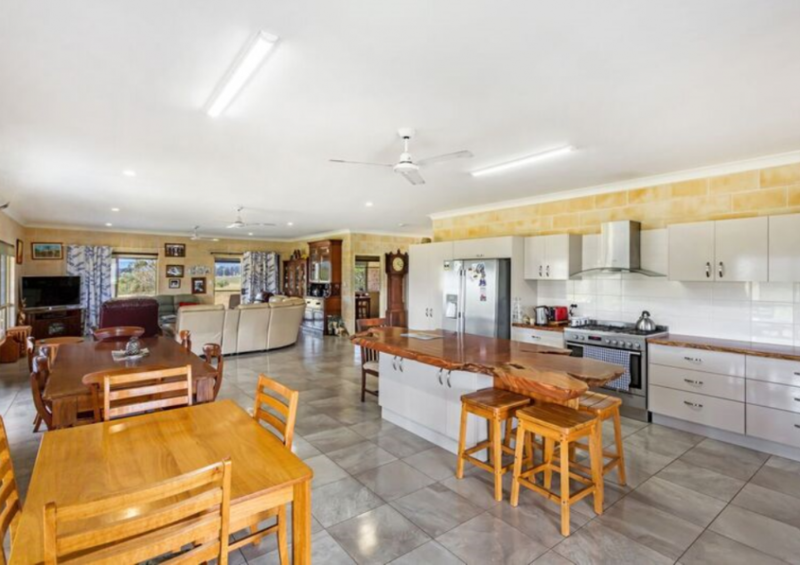 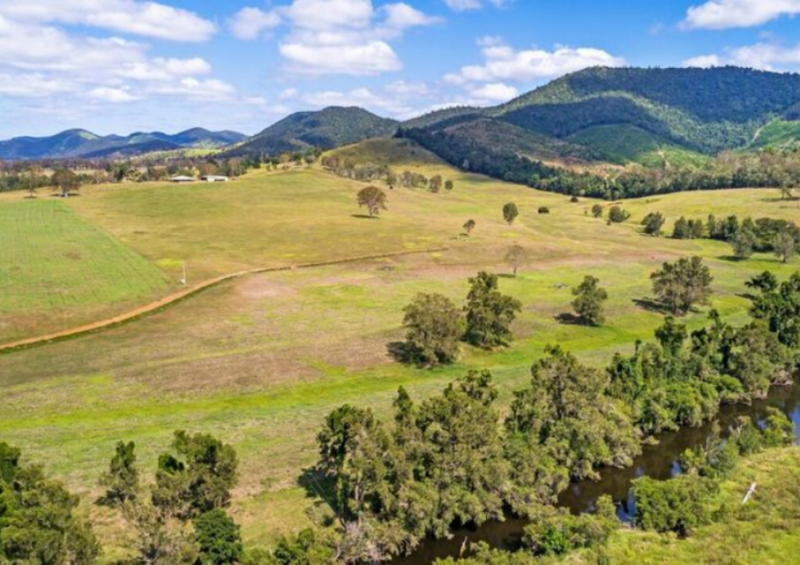 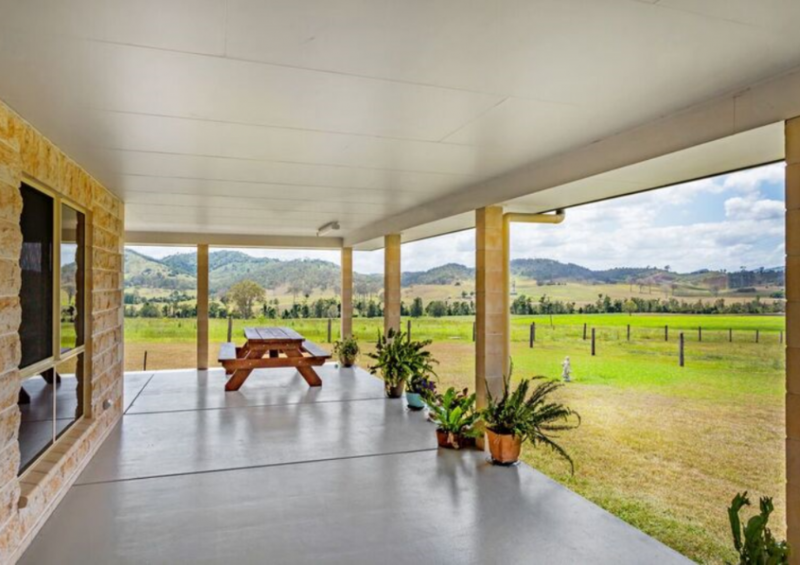 Without doubt the absolute pick of the district , extremely private yet only 15 minutes to Gympie.The improvements are exceptional , the country just the same , these properties are scarcer than ‘hens teeth’ .